The field of orthotics and prosthetics is always evolving. To make sure we’re providing the best possible solutions to our patients, we’re committed to growing along with the field’s latest research and technology. Our strategic partnerships within the profession keep Ability at the forefront of new advances in product development. We are consultants to several manufacturers early in their product development, conducting clinical research and beta testing for new products. Being sought out as an industry leader makes it possible for us to offer the latest and greatest solutions to our patients. Learn more about the technology we offer on this page and be sure to contact your nearest Ability office for an evaluation today! In the end, our commitment to maintaining our leadership and engagement with technology development is a commitment to improving our patients’ experience. We’re proud to have the resources to make that happen. 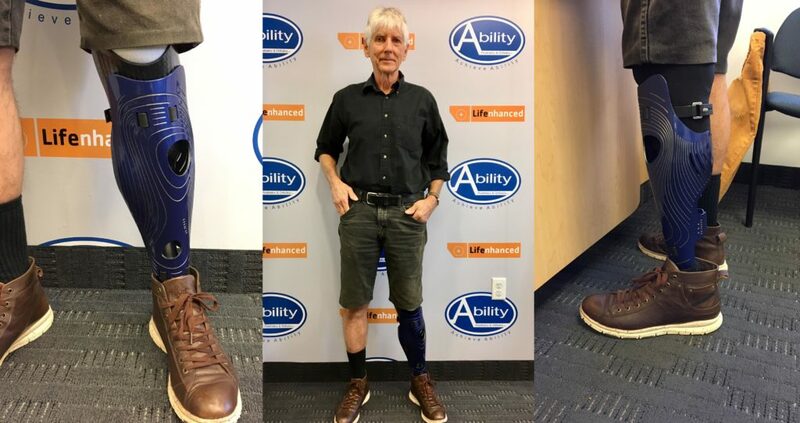 ALLELES prosthetic covers truly offer something for everyone. Whether you want your leg to look like a Mermaid tail, or your arm to resemble a robot, Ability and ALLELES can make it happen! The LIM Infinite Socket is the only socket that truly accommodates your body’s daily fluctuations, giving you the natural comfort you deserve. Every day adjustability answers your need to gain full control of fit and function. UNYQ covers do away with traditional skin-colored prosthetic covers. Gone are the days of trying to hide your prostheses! This technology is all about reflecting who you are. From floral to superhero, there is a femoral or tibial cover that will perfectly suit your mood and show off your personality. 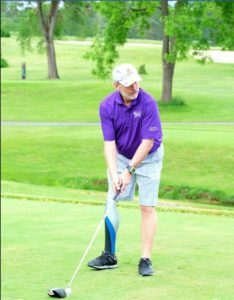 Ability patient Phil Irwin says, “I have been very pleased with my UNYQ leg cover. It is very stylish, and I have received many compliments from a wide range of people of how “cool” it is. I went from feeling self-conscious in shorts, to being very confident, and look forward to wearing shorts. 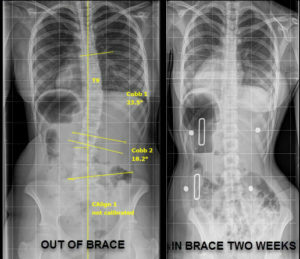 The Wood Cheneau Rigo (WCR) brace is a thermoplastic brace designed to treat scoliosis conservatively while taking into consideration that scoliosis is a three-dimensional deformity. This brace is really changing the game for Ability patients, and doctors used to recommending surgery are calling our practitioners, amazed at the results they’re seeing! Ability is committed to this solution and have one of only 9 WCR Certified Orthotists in the county on our staff, Marlies Cabell, CPO. We have several more Orthotists in training and are able to offer the WCR brace in all ten of our offices.